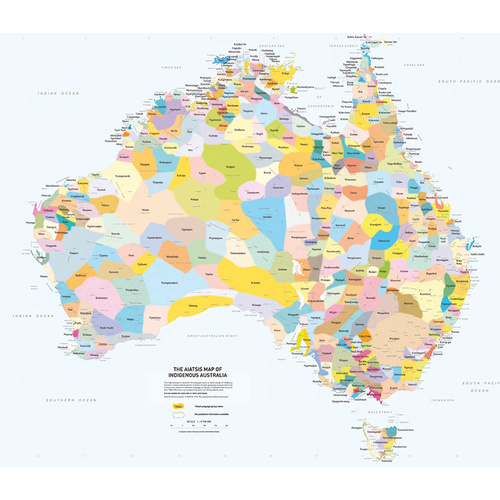 This map presents work carried out for the Encyclopaedia of Aboriginal Australia between 1988 and 1994. Using the published resources available at that time, the map attempts to represents all the language or tribal or nation groups of the Indigenous people of Australia. Not suitable for use in Native Title and other land claims. 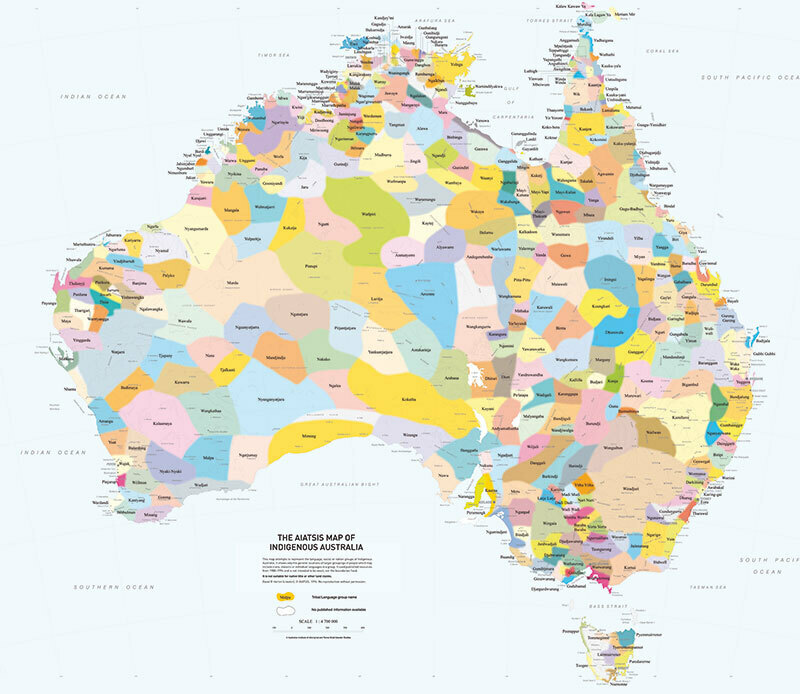 The regions were analysed by using the watershed basins as a template and then superimposing all the language groups on that base.